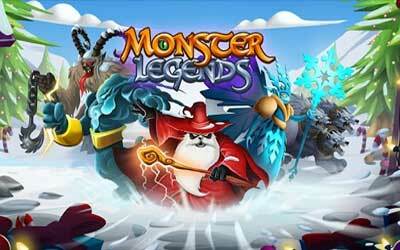 Monster Legends APK 4.1 is categorized as simulation game. You can find this free application in Google Play Store. Before talking about the gameplay, you need to know that the graphic of this application is enchanting. You can find various unique type of monster inside. Social Point Game Developer creates this game for players who want to spend their free time in exciting way. Most reviewers mention on the comment section that the game is addicting and exciting. For those who had experience playing Dragon City created by the same developer, you will find this has similar gameplay with several twist in it. In the gameplay, you need to tame legendary monsters. Once you collect more than one monster, you can breed them into new species of mighty monster. Each monster has its own power to defeat another one. Gain experience as much as you can by fighting other monsters to unlock new skill. Create a team of ferocious monster and go to adventure map. In the adventure map, you can found various type of monster that you can beat or tame. Alternatively, you can also go to monsters’ arena. Do not forget to feed them after you complete the battle. After certain level, your monster will have the ability to evolve into a powerful species. The more higher its level, the more powerful it gets. Beating enemy will be easier when you have legendary monster on your team. You can save the progress of your monster evolution in Google Play Games. In addition, after completing several quests, a certain achievement will be granted to your account. Since you can connect it to your social media, the leaderboards feature is also available as well. Monster Legends for Android is recommended for player who needs to kill time by breeding monsters. Cells are pieces of a monster you can use to break the level limits of another one of the same kind. Collect Cells from the Shop, earn them as rewards in the game or extract them from an existing monster. Use Cells to rank up monsters. Ranked-up monsters of all rarities can have up to 30 more levels and become 50% more power.